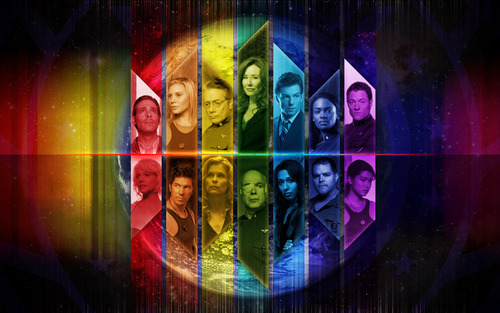 -Battlestar Galactica Wallpaper-. -Battlestar Galactica Wallpaper-. HD Wallpaper and background images in the টেলিভিশন club tagged: battlestar galactica laura roslin lee adama gaius baltar number 6 starbuck kara bill sharon. I've only seen a couple of episodes of it but it seems amazing.